What are you afraid of? Spiders? Witches? Ghosts and ghouls? Or perhaps something a little more macabre, such as being chased with chainsaws or getting eaten alive? Whatever scares you, there’s nothing like a Halloween haunted house in South Carolina to bring your deepest, darkest fears bubbling to the surface. Practice your best scream, then head to these 10 best haunted houses in South Carolina. This haunted house and hayride is the perfect way to get your blood pumping. Equal parts fun and scary, guests should expect the unexpected on a suspense-filled hayless hayride and a trip through a house full of bloodthirsty ghouls and creatures. Just looking at Madworld is enough to send chills down your spine. By far one of the scariest haunted adventures in the state, the scenery and actors are just a little too lifelike for comfort. If you’re too scared to venture through the old fashioned way, you can purchase a superhero medallion that ramps up with each step you take, helping you fend off the monsters the deeper inside you travel. Get ready to face your darkest fears at Deceased Farm. Your journey begins with a mind-bending 3D tour that will have you questioning your own perceptions of reality. From there, you’ll be left to your own devices on a farm that’s desolate of anything living. Try to avoid becoming this year’s harvest! One ticket grants you access to all five spooky attractions here—if you can handle it. If you plan to survive your visit, you’ll first need to complete Demented Clown School to learn how to handle the haunts on the farm. From there, you’ll be plunged into total darkness that will put your navigational skills to the test. After fighting your way through the asylum corn maze, you’ll have to conquer the 8,000-square-foot haunted house that’s brimming with more than your typical Halloween monsters. Truly the stuff nightmares are made of, this too-authentic house of screams will have you sacrificing more than just one good night’s rest. The house is crawling with the undead and other atrocities, leaving your imagination to run rampant as you desperately seek a way out. There are plenty of places to run, but nowhere to hide—they WILL find you! If you thought all those stories about the boogeyman were people blowing smoke, a trip to Booger Jim’s Hollow might change your tune. The trail and haunted house play upon the local legend of Booger Jim, creating an eerie experience that might be a little too real for some. The entire attraction is nothing short of creepy, and will send shivers down your spine more than a few times. This massive haunted attraction offers a variety of spooky adventures, including the all-new haunted cabin set inside an historic farmhouse that may or not be haunted with century-old spirits! Each attraction is enter at your own risk, as there are no tour guides to lead the way to safety. Hopefully you can’ find your way out alone! Anyone can hire actors to dress up in blood and jump out to scare you, but it takes careful deliberation and creativity to create an epic storyline that puts you in the center of the action. That’s exactly what the Dark Castle has accomplished. This guided theatrical tour isn’t your typical spook house. Instead, the scare factor relies on carefully planned elements to create a one-of-a-kind experience starring YOU as the leading victim. Kreepy Hollow is a scary good time for everyone in the family. 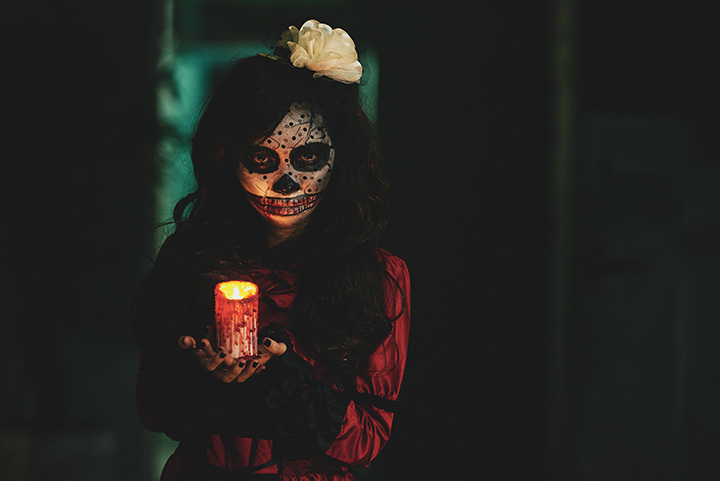 The haunted bus ride takes you straight to the graveyard, where you’ll need to avoid waking the dead as you make your way to the haunted house. If you survive, you’ll enjoy a lengthy hayride back to the land of the living. Don’t let the name fool you—this haunted landscape goes much further than a hallway. Start your adventure with a trip inside the mind of the demented Dr. Darling and the crazy medical experiments in his laboratory. If you haven’t been driven completely insane by the end, take your chances with the live action zombie experience and save the world from a catastrophic outbreak.